The padded, collapsible, adjustable, Multipouch turns your Able Archer bag into a versatile photo bag. Attached to the inside or the outside of an Able Archer bag, or clipped to a belt or a shoulder strap, The MultiPouch adapts to any situation. 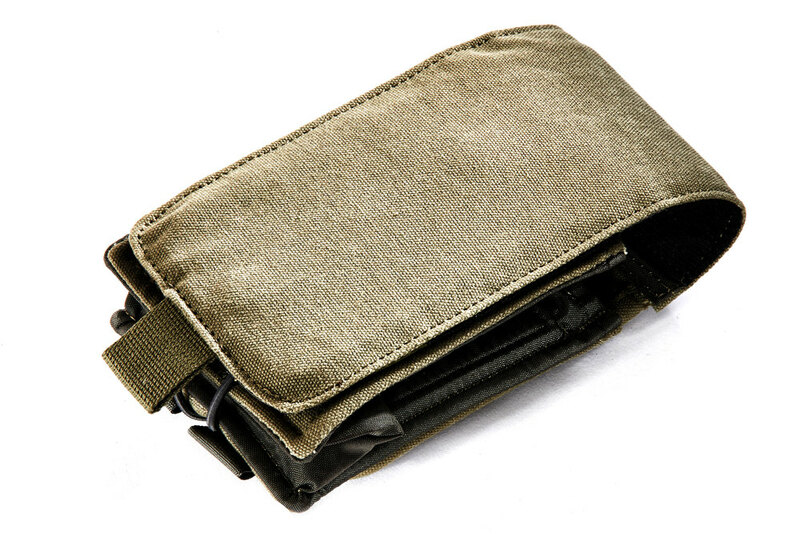 The Multipouch-Small transforms to carry the most common pro camera zoom and prime lenses, from short to long. 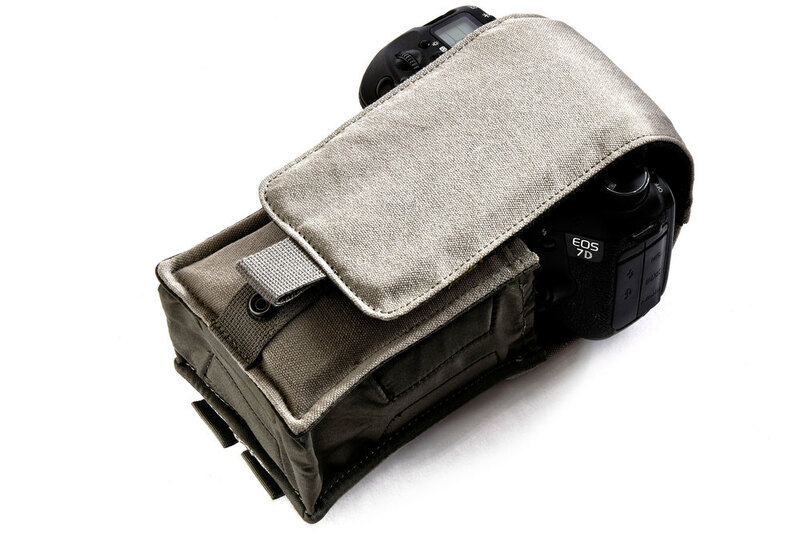 The removable flap gives options to carry internally or externally, with a safety bungie to holster an attached camera body, from mirrorless to full-frame DSLR. Not limited to photogear, the Multipouch handles water bottles or spray cans just as well. One pouch does it all. Height 7"-10.25" Width 4" Depth 1"-3.5"